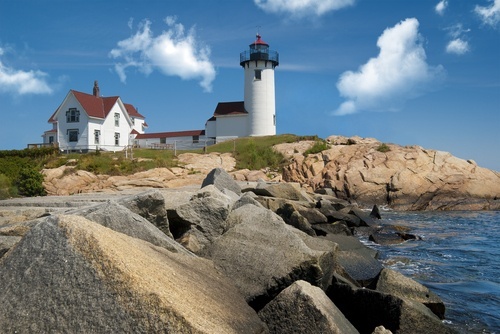 Artists, families, couples, and nature lovers flock to Gloucester, Massachusetts. This beautiful town is home to some amazing scenery, from the seaside of North Shore coastlines, to the rocky cliffs and natural boulders that encircle the seas, to the green valleys, lush forests, and towering trees that crop up further inland. But Gloucester is as rich in culture and entertainment as it is in nature-made beauties. You can sit by the shorelines and see dozens of dolphins, small sharks, and even whales, in the distance. You could collect seashells, stand on the cliffs, and shout your name to the sea winds. Or, travel inland, to the downtown district of Gloucester for shop-lined sidewalks, wow-worthy local art galleries, street performers, and delicious food and coffee at one of many cafes. The shorelines soothe the most savage of beasts, while the social entertainment includes both family-friendly or adult fun. You can take your kiddos to the beaches, of course, where you’re sure to find a park with a ginormous playground. Or, you can head to the inner city at nightfall for mingling on dance floors and over local brews at nightclub bars. The “something for everyone” saying definitely applies as a reason to visit Gloucester. 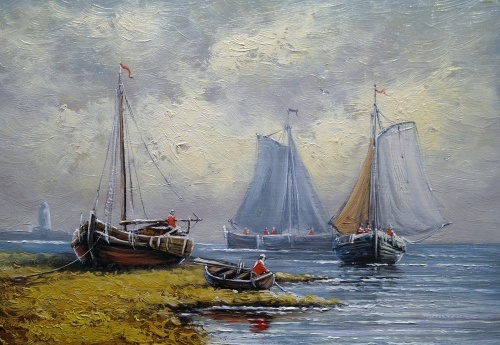 Heritage and history-wise, Gloucester was once a fishing town where many local fishermen set out for sea, but never returned. There are plaques and dedicated statues throughout the town for those that never made it back. And then there’s the Cape Ann Museum, where Gloucester history and arts collide. Since the town was known for fish and trades, part of the museum is dedicated to local legends, stories, and lore. The museum, although founded in 1873, has made the addition of an arts section, which pays tribute to both local and legendary artists. Some of the artworks include sculpture and fine arts, and then there is an entire room dedicated to maritime artworks and marine painters. It’s the norm for guests to spend upwards of 2 hours admiring all this museum has to show. S ince Gloucester is a seaside town, you can expect numerous beaches, but none so popular as Good Harbor Beach. These seashores are private-owned with open and close times throughout the week. It’s a small acreage next to the seashore, with superior swimming conditions, lots of natural dunes and marshes, and beautiful views. Many surfers have noted that this beach is the prime location for awesome waves. The main house features a snack bar, where you can snag a grilled cheese sandwich or burger with a side of classic fries. 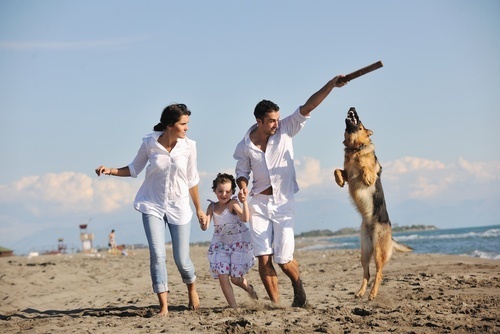 Dogs are welcome, but pet owners need to take full responsibility in diligently cleaning up after their pups. Each Gloucester restaurant serves up their spin on classics from different cultures. But many locals and visitors opt for their favorite seafood cuisine. The city is situated seaside, after all—which means fresh, delicious seafood and beautiful sunset views over the water. The Seaport Grille is a classic and one of the best restaurants in Gloucester. 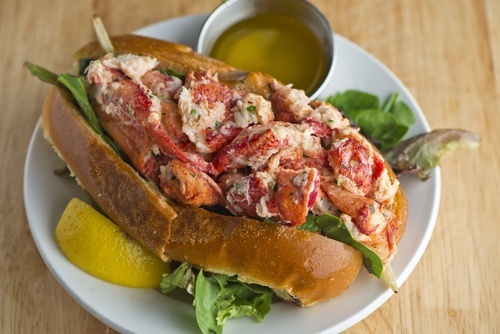 Their menu shells out only homemade dishes, including lobster rolls, authentic New England clam chowder, crab cakes, baked haddock, and firecracker shrimp. For sides, the fresh-cut fries and homemade coleslaw are unbeatable, while the key lime pie and chocolate cake take points for the best desserts. 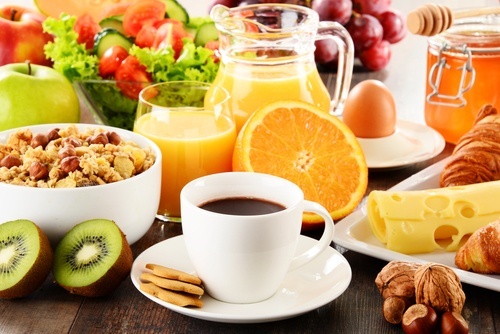 Looking for a superb breakfast, brunch or lunch? Head to Sugar Magnolias at 112 Main. A casual family-style restaurant, they are known for their scrumptious omelettes and Linguica (Portuguese-inspired smoked sausage with mild spice). If you enjoy pancakes, try something different like their Almond Joy, Carrot Cake, Banana Walnut or Chocolate Chunk pancakes. Feeling a bit funky? Chow down on the Crazy Monkey French toast or one of their other four tasty flavors. Dining on Saturday or Sunday? Enjoy brunch from 10A to close and pair a morning cocktail with your crab cake or salad. They've got mimosa's, peach bellinis, a signature sangria and a Tozai Sake Bloody Mary just to name a few. Another great restaurant that locals flock to is Duckworth's Bistrot. Found in a cozy, ivy covered building at 197 East Main Street, chef Ken Duckworth, focuses on seasonal ingredients to support the local fishing and farming industry. 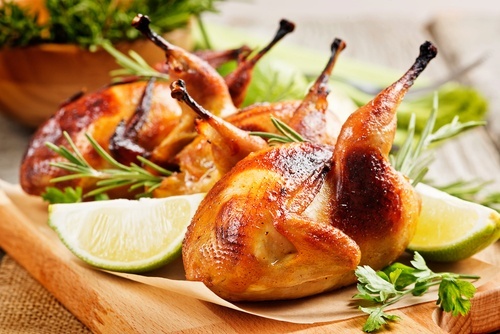 Enjoy local produce, eggs, and cheese, and experience menu favorites like lobster and vegetable risotto, oysters of the day, grilled au natural pork loin "Au Poivre", or perhaps or whole grilled Vermont Cavendish quail. Duckworth's also has a variety of desserts and wines to make your meal spectacular! We recommend making reservations for this restaurant only serving dinner Wed-Sat. Explore the amazing Atlantic coastline castle constructed between 1926 and 1929. 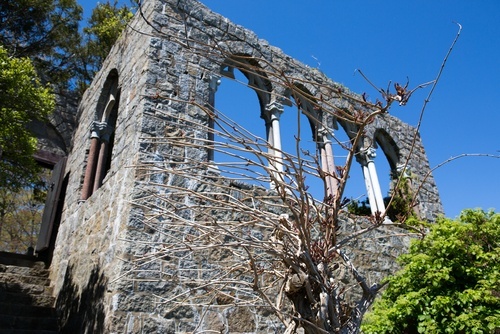 Home and laboratory of inventor Dr. John Hays Hammond Jr, the Hammond Castle is positioned on a scenic cliff overlooking the Gloucester Harbor. Composed of architectural elements from the 15th, 16th and 18th centuries, Dr. Hammond constructed the large home as a wedding gift for his wife, Mr. Hammond. Known for patenting over 400 items, and contributing over 800 ideas, Dr. Hammond is second only to Thomas Alva Edison and is best know for the development of remote control via radio waves. The Eastern Point Lighthouse is also worth seeing, but from a short distance. Visible from the Bog Bar Breakwater, the grounds are closed to visitors, and is managed by the Coast Guard. The Gloucester Harbor, America's oldest seaport has supported fishermen, traders, whalers and even smugglers since the early 1600's. First lit in 1832, the lighthouse has undergone several building additions and renovations, yet still is active for navigation and serves as housing for the Coast Guard. The nearby Ten Pound Lighthouse station was built in 1821, with the present lighthouse being constructed in 1891. Standing with a focal plane of 57 feet, the lighthouse is best seen by boat. On a rainy day, spend time inside and visit Beauport - the Sleeper-McCann House built in 1907. Now a National Landmark, this museum is free to Gloucester residents and members of the New England Historic Society and charges an entrance fee for guests. Henry Davis Sleeper, one of America's first professional interior designers, used this spectacular retreat as his professional showcase and as a space for entertaining. It's well worth a visit to see all the curious collections and furnishings. Another museum of interest is the Cape Ann Museum. In addition to showcasing art, history and culture in the galleries, the museum also plays host to a library and archives, a children's center, two sculpture gardens and a pair of historic homes. Take a short drive to nearby Rockport to Motif Number 1, a replica fishing shack of the original structure built in 1840 and later destroyed by a blizzard in 1978. 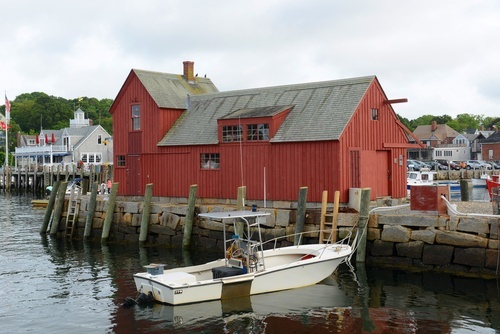 Touted as one of "the most often painted buildings in America by students in art and history, the red shack is eye-catching and sits on scenic Bradley Wharf. Gloucester, Massachusetts is somewhere you will want to spend a weekend, if not longer. The coastal conditions and gorgeous views are enough to soothe your soul and relax your nerves. So, plan to stay awhile. There are several Gloucester hotels in the area, but these four are the best-rated—Beauport Hotel Gloucester, Cape Ann’s Marina Resort, Ocean House Hotel, and Atlantis Oceanfront Inn. Abundant, beautiful, and situated off of Commercial Street, the Beauport Hotel Gloucester is an affordable, beautiful hotel that offers luxurious accommodations throughout the year. This hotel goes all out for holidays, so you can expect spooky décor for Halloween, twinkling lights and decked-out trees for Christmas, and lovey-dovey hearts and cupids for Valentine’s Day. It’s fun, romantic, and family-friendly, so everyone in your party is sure to have a great time. You never have to leave the hotel premises, as it sits on a private beach, and the hotel itself boasts room service, an on-site restaurant and bar, free high-speed internet, a rooftop pool, a heated, indoor pool, hot tubs, and a banquet room for celebrations. Cape Ann’s Marina Resort on Essex Avenue is a Gloucester favorite for seafarers, both professional and leisure. The hotel, one of the oldest in the area, has been renovated and modernized several times, with well-furnished, clean rooms, free high-speed internet, and reliable, courteous staff. The rooms face the water, with beautiful sun-drenched views. Guests rave about the on-site bar and lounge, where you can order the freshest seafood dishes, like lettuce-wrapped haddock, classic fish and chips, and lobster bisque. 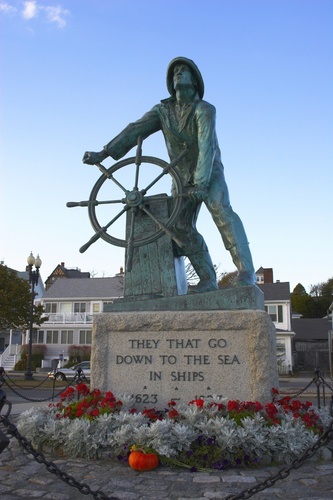 For fun, take a short walk to the Fishermen’s Memorial Statue, where you can brush up on local history and then dip your toes into the waters off the docks. The memorial is free to visit, pet-friendly, wheelchair accessible and there is outdoor seating. Ocean House Hotel at Bass Rocks. Notable for being luxurious with gorgeous sea views, the Ocean House Hotel offers both the basic, comfortable essentials and a plethora of indulgences. Basics-wise, guests can expect plush, pillow-top beds, clean and fresh linens and towels, free parking for guests, super-speedy internet access, and a free seaside breakfast featuring a sit down meal or grab-and-go favorites. You'll also find heated indoor and outdoor swimming pools with hot tubs, a rooftop deck and fireplace, a library and complimentary bike rentals. Where luxuries are concerned, guests receive fresh-baked cookies as thanks for staying at the hotel, as well as in-room Jacuzzi tubs, flat-screen televisions with movie channels, private balconies that overlook the ocean, a beautiful banquet room for parties and complimentary water shuttle service in the summertime. Constructed in 1899, the fabulous hotel is listed in the National Register of Historic Places. Ranked THE best hotel in Gloucester, the Atlantis Oceanfront Inn offers beautiful views of the Atlantic Ocean, as well as super-plush beds, spacious, clean rooms, and courteous, informative staff. The Inn is smaller, with 40 guest suites, but the rooms are pristine and well-furnished,, in-room kitchenettes, stand-in showers, and private balconies. This hotel is located less than 3/4 a mile from Good Harbor Beach with sidewalks that lead to the seashores. So, take a stroll. 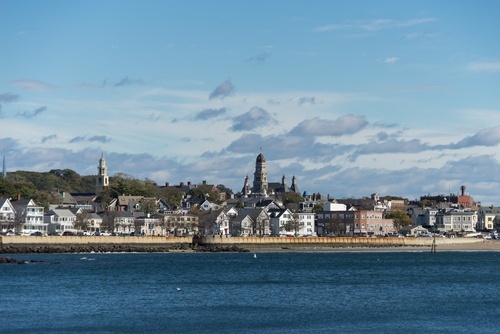 Ready to explore the beautiful Atlantic coastline and relax in Gloucester, Massachusetts? Book now. Save now. TravNow!